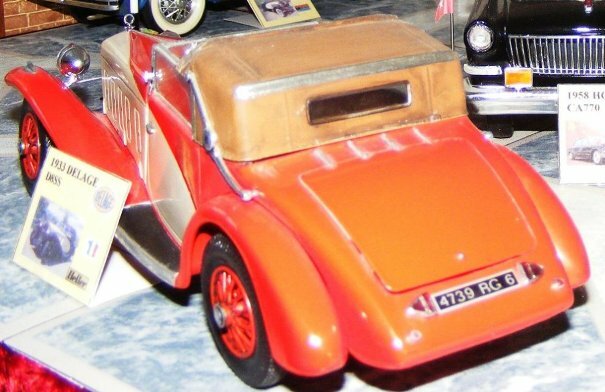 Louis Delage gained his experience in a long period working for Peugeot . 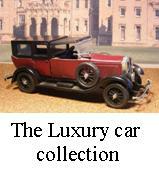 In 1905 he produced his first car - with a De Dion single-cylinder engine - with the assistance of Augustine Legros. It was built in Levallois which was destined very soon to begin production on a more industrial scale, reaching 150 units a month in 1913. In 1908, Delage won his first race, in the Dieppe Grand Prix for voiturettes. Thereafter for as long as his company was involved in racing , it won some remarkable victories, including 1st in 1914 Indianapolis. It almost totally dominated the racing scene in its final season, 1927. 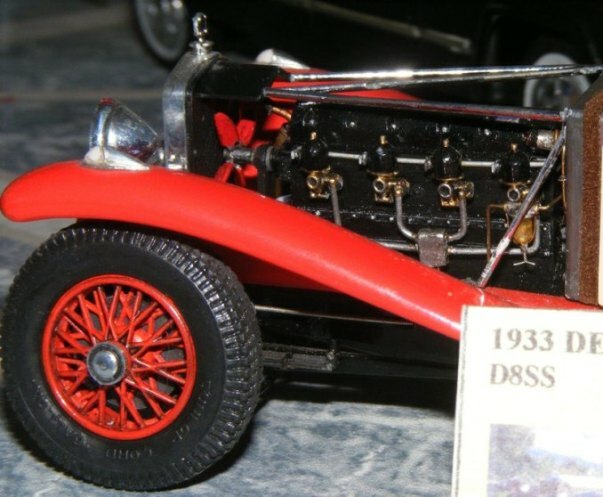 The D8 came out in 1929 with an 8-cylinder engine; depending on whether the version had one (D8), two (D8S and D8SS) or four carburettors (D8SS 100), it could develop from 80 to 100 hp. 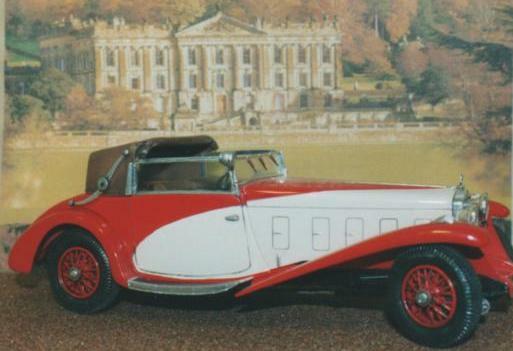 Delage got into financial difficulties after bringing out the D6 in 1933, and was taken over by Delahaye. Production continued, but without the necessary technical development, and both companies went out of operation in 1953. Heller always produce nice kits and this model is no exception. Built almost straight from the box the hood has been rolled back by using a section of polythene bag cut to size and rolled up. The body has been sprayed with Halfords car paints. While the use of ink washes for the panel lines and wheels give depth, dry brushing techniques give highlights to the hood. These techniques together help give the model more realism.